Chronic obstructive pulmonary disease (COPD) is a progressive lung condition that causes difficulty breathing. As symptoms get worse, COPD will limit your ability to do usual activities, such as cooking, walking, and taking care of yourself. A new, innovative therapy for treating COPD is umbilical and amniotic stem cell therapy. 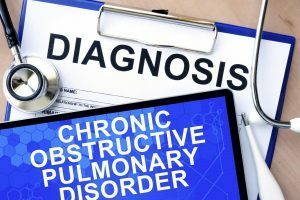 Chronic obstructive pulmonary disease is the fourth leading cause of death in the U.S., killing around 120,000 people every year. In addition, COPD causes serious, long-term disability. 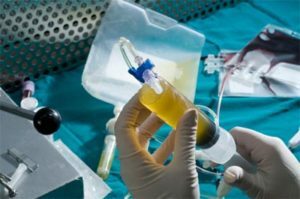 What is amniotic and umbilical stem cell therapy? Amniotic and umbilical tissue is obtained through an FDA regulated process. The biologics are donated during scheduled c-sections, where babies are fine and the material is obtained in a sterile fashion. The biologics contain abundant stem cells, cytokines, growth factors, exosomes, secretomes and mRNA, all of which are critical in the repair process. The amniotic and umbilical cord stem cells are used in regenerative medicine to heal and repair damaged, injured, and diseased body structures, tissues, and components. How are regenerative cells from amniotic and umbilical cord tissue used to improve the quality of life in people with COPD? Do mesenchymal stem cells work for COPD? A few clinical studies have been conducted involving COPD and stem cell therapy. Researchers in a recent study used stem cells for treating patients with advanced COPD. At the 12-month follow-up visit, the patients showed significant improvement in the quality of life, as well as a stable lung condition. 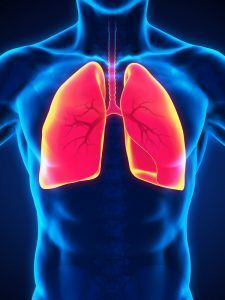 The researchers believe that the therapy inhibited or slowed progression of COPD in the study subjects. How are stem cells given to patients with COPD? In the recent clinical studies, stem cells are given via an intravenous (IV) drip. The umbilical stem cells go directly to the site of inflammation in the patient’s lungs. During the follow-up visits, patients are evaluated using computed tomography (CT) scans and other technology to evaluate inflammation, growth of new tissue, healing properties, and more. 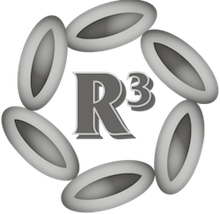 In order to obtain optimal results, R3’s protocol also involves patients receiving treatment through a nebulizer. How are the stem cells processed? The fatty solution is taken to the laboratory for processing. Using a complex centrifugation process, the stem cells are separated from other adipose tissue components. Once the concentrated stem cell solution is made, the cells may be “expanded” in laboratory petri dishes, which means they multiply. The cells also may be “activated” using certain agents in the laboratory. How many adipose stem cells can be removed? The average amount of fat tissue obtained during the liposuction is 150 milliliters. This amount of tissue will yield around 10,000,000 stem cells. Around two IV infusions are given, so the patient receives around 300 million stem cells. When a local injection is given, around 200 million stem cells are used. Tzouvelekis A, Paspaliaris V, Koliakos G, et al. (2013). A prospective, non-randomized, no placebo-controlled, phase Ib clinical trial to study the safety of the adipose derived stromal cells-stromal vascular fraction in idiopathic pulmonary fibrosis. J Transl Med 2013, 11: 171. 10.1186/1479-5876-11-171. Request Appointment to find out if you are a stem cell therapy candidate! Free consult and imaging review.